Egypt's foreign ministry issued a statement on Thursday condemning a recent report by the UN special rapporteur on the right to housing which alleges violations in the area of housing rights in the country, saying the report contained fabricated incidents and baseless allegations about the government’s policies in the area of housing. The ministry said that Egypt had invited the special rappateur to visit the country between 24 September and 3 October as part of the government’s openness to cooperate with international human rights bodies and enable them to understand the challenges faced by the government in providing suitable housing. "Egypt was surprised by the special rapporteur's attempts to fabricate facts and create problems in her meetings from the very start of her visit to Cairo, even though the state had provided her with all the assistance needed for her to carry out her duties," the statement said. The independent rights expert, Leilani Farah, had said that she was "shocked" to learn that after her visit to Egypt over a month ago, a number of the people she spoke to were forcibly evicted, arrested, or had their homes demolished. 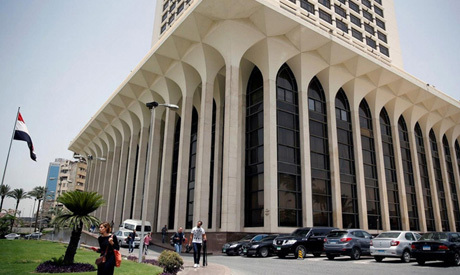 The foreign ministry said that "Egypt strongly rejects this threat to halt the work of special rapporteurs with Egypt," saying that this "is a decision entirely outside the rapporteur's jurisdiction and is a violation of her duty." "The Egyptian government will hold the rappateur responsible and accountable or her irregular actions and the dire consequences of her allegations." The ministry said that "the rapporteur's actions upon arriving [in Egypt] raised suspicions that she intended to deliberately defame the country." "These doubts were confirmed after the rapporteur communicated with Al-Jazeera satellite channel – which is known for its blatant support for terrorist organisations – immediately after the report was issued," the statement said. "The [rapporteur's] actions proved that the report was intentionally malicious and politicised, hiding under the guise of human rights and fundamental freedoms." "The special rapporteur deliberately downplayed and concealed the government's unprecedented achievements in providing adequate housing for citizens and the progressive and bold decisions taken by the government to create a shift in housing policies to ensure decent and adequate living standards for citizens without discrimination," the statement said. The ministry also called on the UN Human Rights Council to take action against those who would exploit their positions for political purposes.